Shut up and make me one NOW! Some people just don't get it and won't have NodeICO badges on their GitHub READMEs. 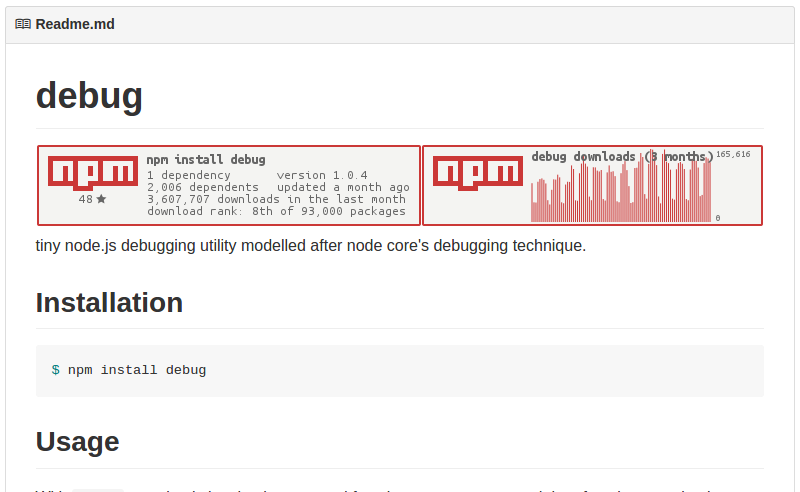 You can fix this on your end by installing the NodeICO Chrome Extension for GitHub and have them placed on READMEs for Node.js projects that don't have them when you're browsing. Download rankings are calculated each day by comparing total download counts across a period of 30 days. So, we have the download data per-day so why not do something interesting with it? npm is a trademark of npm, Inc., NodeICO is not affiliated with npm, Inc. or the official npm open source project in any way.